Welcome to Sold and Rented.com Real Estate, a company which I hope will be your final choice for all your real estate needs in Fayetteville NC, Hope Mills, Fort Bragg, Pope AFB, Spring Lake, Raeford. Let me show you how I can work for you, whether you are a first time buyer, an experienced investor, owner landlord or a seller looking for a real estate company with experience. Are you Buyer or Investor? Sold and Rented.com Real Estate provides MLS Search in Fayetteville NC and surrounding areas: search MLS for residential homes for sale, investment homes for sale, commercial properties for sale. 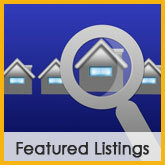 Are you familiar with the neighborhood and schools where your dream home you found on MLS Search is located? Is it in a nice neighborhood with the best schools? Are home values in this neighborhood improving, stable or declining? 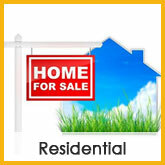 Contact me and I will share with you my knowledge and expertise of that particular neighborhood characteristics. Sold and Rented.com Real Estate offers you unique features. Use our Just Listed feature and you will receive an instant email the same day a residential home, investment home or commercial property that fits YOUR criteria is listed for sale in MLS in Fayetteville NC, Hope Mills, Fort Bragg, Pope AFB, Spring Lake, Raeford areas. Buy residential homes and investment homes in Fayetteville NC, Hope Mills, Fort Bragg, Pope AFB, Spring Lake, Raeford with the help of Fannie Mae and HUD. Is the VA Home Loan Program right for you? 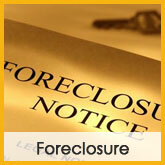 Contact me and we can discuss the various types of loans that might be available for you. You can search MLS in Fayetteville NC, Hope Mills, Fort Bragg, Pope AFB to become familiar with our residential homes. I can help you find and buy a home which is right for you in a nice neighborhood with the best schools, close to the base or as far away as you want. Are you moving to Fayetteville NC, Hope Mills, Fort Bragg, Pope AFB, Spring Lake, Raeford? Local Schools, Our Community, Local Partners and Info Center links are all helpful features. We will provide you with all the necessary information to get familiar with the whole home buying process and to help you make an informed real estate decision. On Real estate and Mortgage Library pages you will learn how to apply for a mortgage, what is a Down Payment, what is the difference between FHA loans and VA loans. Use our Apply Online feature to apply for a Mortgage. On Mortgage Interest Rates and Mortgage Calculator pages you will find out about mortgage payment, what you can afford, get your Free Credit Report and pre qualify for a mortgage, complete mortgage application, get pre approved. Use our Free Real Estate Reports, Real Estate Q & A, Buyer Tips, and learn how to choose the “right” property, making an offer, negotiating, financing, mortgage rates, moving, real estate tax information. Are you a First Time Buyer without much time to spend hours doing research on the home buying process? I have 10 years experience working as Buyer Agent. Contact me and I will share with you my knowledge of the Real Estate Market in Fayetteville NC, Hope Mills, Fort Bragg, Pope AFB, Spring Lake, Raeford and help you find and buy a home in a nice neighborhood with the best schools. Use our Just Listed feature and you will receive an instant email the same day investment homes and foreclosure homes that fit YOUR criteria are listed for sale in MLS in Fayetteville NC, Hope Mills, Fort Bragg, Pope AFB, Spring Lake, Raeford areas. Is your Dream to have a Vacation home on one of our beautiful beaches of North Carolina, South Carolina or Log home in the Mountains? Contact me and I will help you to achieve your dream. Do you own property and are thinking of placing it on the market and would like to get professional real estate advice? 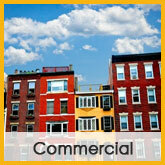 I can help you decide what the best move in YOUR situation is: to place your property on market for sale or for rent. Use Your Home´s Value feature and you will be the First to know when and for how much residential home is sold in YOUR Neighborhood. Can YOUR home be worth much more? What is YOUR Home´s Value in today´s real estate market? With my 10 years of experience helping home owners to sell their homes, I will furnish you with a free comparative market analysis on YOUR home. If you are thinking about selling your home and want to gauge the real estate market in advance, use our Just Listed feature and you will be the First to know when and for how much residential home is placed for sale in YOUR neighborhood. Real Estate Q & A page has answers to frequently asked real estate questions about appraisals, escrow & closing expenses, real estate tax considerations and more. If you are thinking about keeping your property as an investment home then ask me about my Property Management services. I provide monthly statements, direct deposits, credit checks on all tenants, up-to-date information of all on-goings and one of the most comprehensive leases in the industry. Are you thinking about making Home Improvements? Ask me and I will help you find out which of the home improvements will actually increase your home´s value. Home Improvement section in our Info Center contains helpful information. Do you need to make Home Repairs? 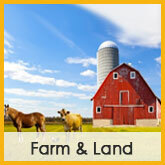 Local Partners page has information about high-quality local businesses. Please feel free to browse through Sold And Rented.com Real Estate site to explore communities of Fayetteville NC, Hope Mills, Fort Bragg, Pope AFB, Spring Lake and the surrounding counties Cumberland, Hoke, Harnett in North Carolina. We offer direct access to MLS Search in Fayetteville NC and surrounding areas: search MLS for the latest residential homes for sale or rent, search MLS for investment homes for sale, search MLS for commercial properties for sale or rent in Fayetteville NC, Hope Mills, Fort Bragg, Pope AFB, Spring Lake, Raeford. Featuring extensive community and school information, free reports and answers to commonly asked real estate questions. 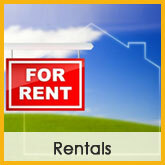 You´ll find everything about real estate within Sold and Rented.com Real Estate web site.